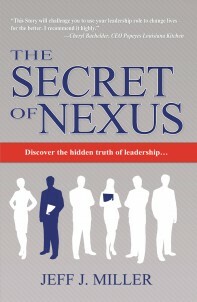 I’m pleased to share that Ambassador International published client Jeff Miller’s novel, The Secret of Nexus: Discover the Hidden Truth of Leadership. I provided a rewrite of Jeff’s book last January and was thrilled to hear he later found an interested publisher. Congratulations, Jeff! Garrett Thompson’s life took a twist when he left the medical field to become an entrepreneur, and started Nexus, Inc. Making health products had turned into his passion, and with the help of his management team; Nexus Inc. has developed a secret product that could change the world! Running a successful business and developing a potentially life changing product had set up Garrett’s life to be a huge success. What he didn’t know was that his life was about to change and just around the corner was a huge test of his personal strength and leadership abilities. Garrett has a passion to provide authentic leadership for his management team, the question is, can he really trust all of them? Can he even trust his own father? And, will he be able to continue to lead his family well while navigating the challenges of his business? Through this captivating story you will be exposed to the leadership traits that positively influence people. Learn what it means to truly care and sacrifice for your employees, family, and community when facing the toughest of tests. The true message of this story is found in the inspiration behind it! Faith, Fiction, Friends: “Dancing Priest” is Available on Kindle. This type of feedback makes my day! Yeah! The memoir for which I assisted Carol Trahan (http://www.caroltrahanministries.org/) in the writing and editing has been accepted for publication and will be on shelves next spring. The memoir is titled The Triumph of His Grace. Soli Deo gloria! 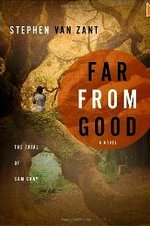 Amazon.com: Far from Good: The Trial of Sam Cray (9781606150504): Stephen Van Zant: Books.